. يقدم Horizon Deluxe Apartments خدمات لا غبار عليها وكل أشكال اللياقة وحسن الضيافة اللازمة لإسعاد ضيوفه. لضمان راحة ضيوفه، يقدم الفندق الخدمات التالية: واي فاي مجاني في جميع الغرف, مجهز لذوي الإحتياجات الخاصة, تخزين الأمتعة, واي فاي في المناطق العامة, صف السيارات . استمتع بوسائل الراحة الراقية في الغرف أثناء إقامتك هنا. بعض الغرف تتضمن تلفزيون بشاشة مسطحة, اتصال لاسلكي بشبكة الإنترنت (مجاني), حوض الاسترخاء, مكيف هواء, تدفئة لمساعدتك على استعادة طاقتك بعد يوم طويل. يقدم الفندق مجموعة رائعة من الخدمات كمثل حوض استحمام ساخن, سبا، لجعل إقامتك تجربة لا تنسى. إن Horizon Deluxe Apartments هو خيارك لخدمة الفنادق الراقية في ستانلى. This is one of the most luxurious self contained apartments I’ve ever stayed in, every small detail is covered and then there’s the amazing view of the Stanley Nut! I’d recommend this accommodation without reservation to all! 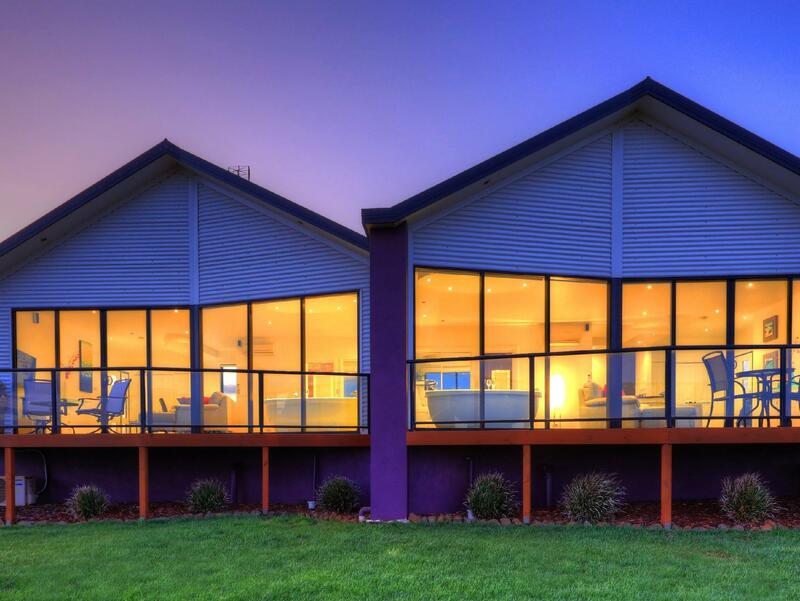 Absolutely Gorgeous Accommodation! I will return. 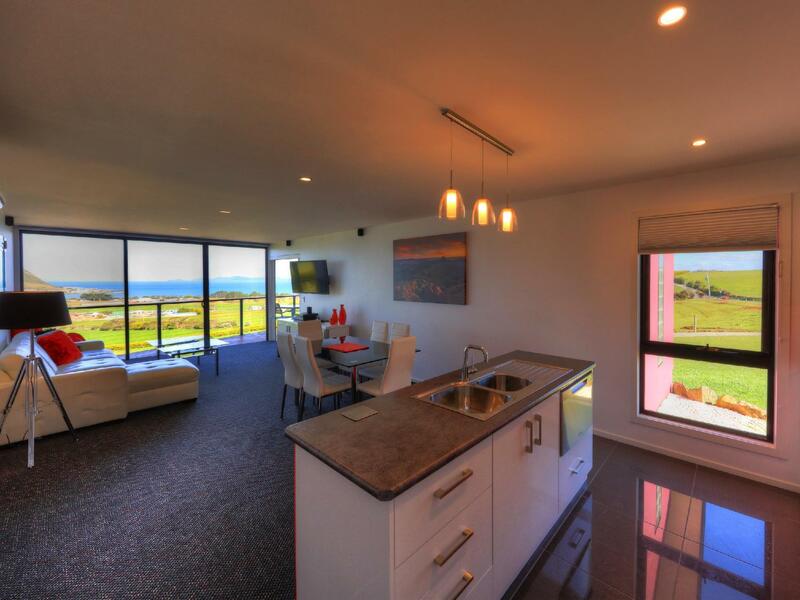 The Horizon Delux Apartments in Stanley Tasmania are fantastic. Extremely private and modern apartment with an awesome spa with enough room for two people. Overall the design and furnishings are second to none. If you are looking for accommodation in Stanley, Horizon Delux Apartments are definately recommended. Amazing view and sunrise from the apartment, mineral water private spa, steak, oysters & lobster at Stanley hotel were just wonderful, a quiet little village with friendly people around and postcard views wherever we went. Recommend this place to people visiting Stanley. It was really nice. What a breathtaking, beautiful place to stay. It was such an unexpectedly modern apartment, with a feeling of luxury from the moment you step through the front door. You have a feeling of seclusion and privacy. Everything you need and more for a relaxing few days. You don't have to leave the room. You can enjoy the spectacular view of the Nut from your own balcony. Loved it, and highly recommend it for your stay at Stanley. I went there for honeymoon. The Apartment was well situated on the hill with a lovely view of the Nut. The apartment were well equipped. The bath tub was great ! We enjoyed the stay so much ! As you first walk into your room you a pleasantly surprised with the layout the view, and how finally you found a place where the photo's are what you get. The place was serene and cosy, there was everything you needed, from all the cooking utensils(if you wanted), dvd, spa with surround sound music, lights and bubbles. Huge shower, heating, cd to play music comfortable king sized bed, extra pillows, blankets, BBQ and a balcony if you wanted to brave the cold, even the cows were relaxed, definately a place for romance, quiteness and relaxation.